Don’t be just another cart in the crowd. Let our on-site graphic design team assist you with a variety of custom marketing tools that establish your presence, maximize exposure and draw more business. 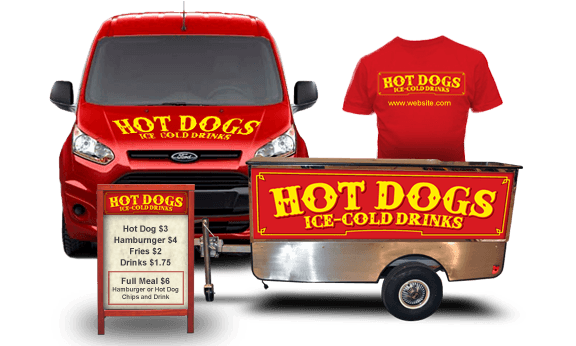 Our services are available to you even if you don’t own a Top Dog Cart and include everything from custom logo design to hot dog cart graphics, decals, large scale signs and apparel. Let’s get cookin’! Contact us to discuss your marketing goals or request more information about any of the marketing and design services listed below. 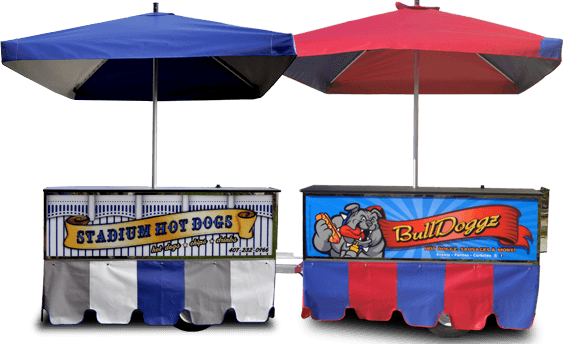 Complete the look of your food vending business with a sign, umbrella and cart skirt. Tshirts, hats, aprons and vehicle wraps are just a few of the items we design and brand for mobile food businesses. Build your brand with a professionally designed custom logos, menu boards, business cards and banners. Establish an online and social media presence that connects you with customers and builds your exposure in the community. Please select "no printing" if you want to purchase the artwork only. 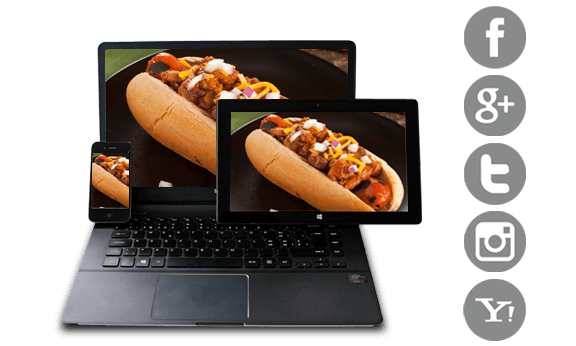 Describe how you plan to use and display this menu. This will help us determine the best type of material for printing. Please tell us a little about what you have in mind for your logo design. For example, are you interested in a text only logo or a custom character or illustration? Please select the areas of the vehicle where graphics will be added. Please include as much information as possible about your vehicle wrap or decal project. You may specify additional colors and quantities in the "comments" section.